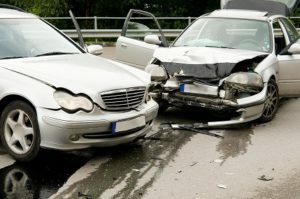 Who is at Fault in a Multi-Vehicle Accident? In an accident involving two vehicles, it is usually relatively simple to figure out who is at fault. But if there are more than two parties in the wreck, it can be very complicated to pinpoint who, exactly, is at fault. There are many factors that will come into play in determining who is in the wrong. While one vehicle may have caused the accident, more than one may share in the fault. If you need to find an attorney in your area, please consult our Online Legal Directory.